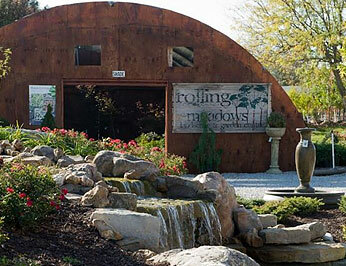 Thank you for visiting Rolling Meadows Landscape and Garden Center in Overland Park, KS. As a full service Landscape Design and Garden Center for both Residential and Commercial, we can accommodate your every need including pavers and retaining walls. Browse our site to learn more about who we are and what we offer or stop by today and see some of the great things happening at Rolling Meadows Landscape and Garden Center! Let Rolling Meadows create a professional landscape design that will compliment your home, giving you year-round color and beauty. Rolling Meadows Landscape provides an extensive range of commercial landscaping services in the Kansas City Metro area.